That was the hardest thing in coding that I’ve ever done. 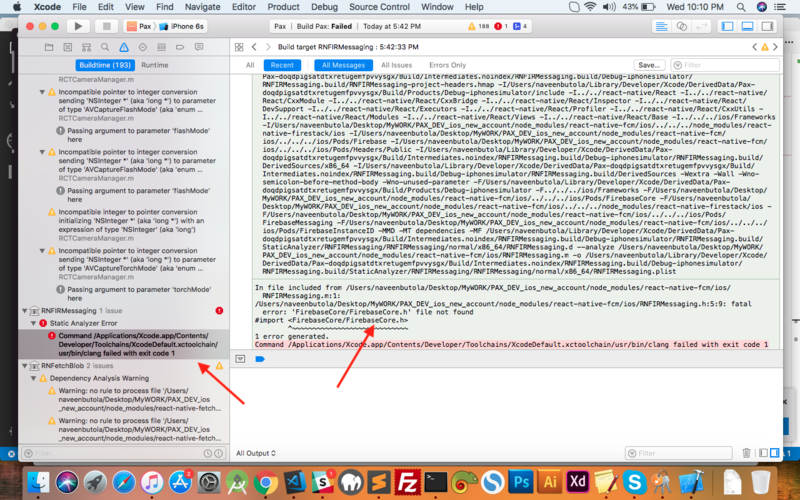 Setting up Firebase Cloud Messaging with a React Native app in March/April 2017 is hell. I hope the ecosystem improves. 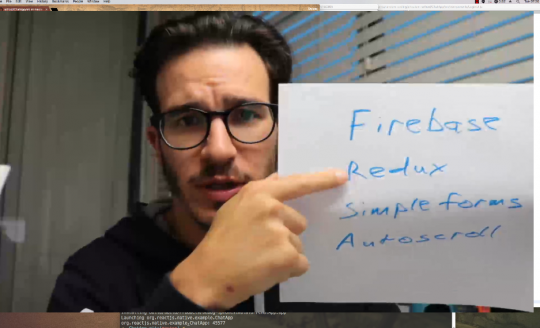 Today’s lecture is part 2 of Build a Chat App with Firebase and Redux. I assume you’re continuing from there and already have the base Chat App defined. You don’t need the Chat App to follow this lecture. 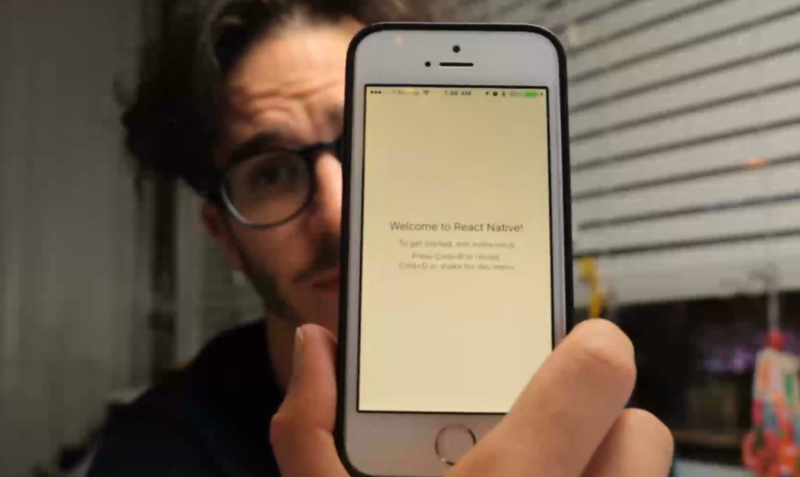 As long as your app is React Native first, created with react-native init, then this guide is for you. Some of this guide is iOS specific. We’re using the platform agnostic react-native-fcm library, so you can use most of this guide for Android as well. But I haven’t tested that because I don’t have an Android device. You can see the final code on Github. First thing’s first: We have to pay our dues to Apple. To play with push notifications on iOS, you need an Apple Developer account. It costs $99 + tax and a day or two of waiting. You’re also going to need an iDevice because the simulator doesn’t receive push notifications. Having an Apple Developer account lets you run apps on your phone, publish them to the app store, and things like that. I don’t know everything you can do, but it sounds like anything even advanced or proprietary requires a paid account with a confirmed identity. The easiest way to create a developer account is through XCode. Same process as connecting an existing account, except you click Add new account instead of picking an existing one. Open your project’s ios/<name>.xcodeproj file with XCode, navigate to General settings and look for Signing config. This part videos particularly well. Watch the video at around 1min, if you’re confused. I was very confused looking at this for the first time. After you’ve got your Apple Developer Account, it’s time to set up your certificates. You need two of them: One for running your app on a device, another for push notifications. Setting up certificates is annoying, I agree. But it improves app security. When notifications are signed, your app can be sure you sent them. When your app is signed, a device can be sure it’s your app. Imagine if any random person on the internet could harass your users with notifications or publish app that look just like yours, but steal users’ info? No good, right? Hence, certificates. The setup videos well and texts poorly. I suggest watching the video from about 2min onwards. Once you have both certificates installed locally, you have to give the Push Notifications one to Firebase. That way it can sign notifications before sending them. Go back to XCode, find the Capabilities tab, and enable Push Notifications. You should see two grey checkmarks. I don’t know why they’re not green, I was quite disappointed. They’re def red when something goes wrong … so unfair. The library we’re using – react-native-fcm – suggests enabling Keychain Sharing and Background Modes as well. I don’t know what keychain sharing does, and I think background modes lets us accept notifications when our app is in the background. Press Play on top of the XCode window. Wait. Your device should show an app. If it doesn’t … literally any of the steps above could have gone wrong. I suggest going over again slowly. Google any errors that you see. Now for the fun part: Installing the Firebase SDK without using CocoaPods. No matter what the various README files and documentation tell you, CocoaPods and React Native do not like each other. I realized this after a careful process of elimination and two or three apps started from scratch. There is no sane way to get it working. As soon as CocoaPods enters a project that was started with react-native init, the project explodes. Core React libraries become unavailable and if you start fixing imports, you will never finish. Fix one, the next one breaks. The solution that I’ve found is to install Firebase SDK manually. Download from Firebase docs, then add every .framework file in Firebase/Analytics and Firebase/Messaging to your app. Now your app has the SDK. But it lacks two core libraries that Firebase uses. I don’t know why, but they’re libz.dylib and libsqlite3.dylib. You can add them through the Build Phases tab in your project. They’re in /usr/lib. For the initialization step, you’ll need to copy paste some code and the Firebase config from your console. Go to your Firebase Console, find your app, and look for a button that says GoogleService-Info.plist. Drag it into your XCode project next to Info.plist. If you open it, you’ll see it contains Firebase authentication stuff. Then go into AppDelegate.h and add an import and a parameter to the main interface. Changes in AppDelegate.m are more extensive. You have to add an import, two lines to the application function, and a couple functions at the end of the file. I would explain what all this code does, but to be honest, I don’t know. ObjectiveC is a strange foreign land to me. 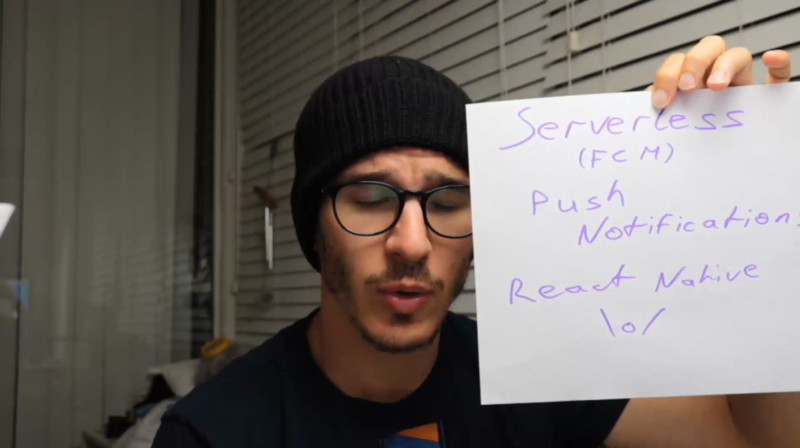 In the video I get an error after adding the code. That’s because I forgot to copy Firebase.h and module.modulemap from the Firebase SDK package. You should add those too. I think they’re what defines the firebase module in the first place. That was fun … kind of. Now comes the really fun part: notifications flying around! We don’t want the notifications dialog to scare people off, but we do want them to be notified of new messages. That means we should put notification code somewhere close to the user is authorized now action. With some code tweaks since last lecture, I built a startChatting action. It finishes authorizing a user, initiates message fetching, and subscribes to notifications. That’s more like it! Some familiar code! We import a bunch of stuff from react-native-fcm, and define a startChatting helper function. Thunks call startChatting and pass it the dispatch function so it can dispatch Redux actions. Does that make it a thunk? – FCM.subscribeToTopic subscribes users to the secret-chatroom channel. This makes it easy to send notifications to a group of devices. – FCM.on(..., this part handles notifications when they come in. I don’t know exactly why the notification handling code has to be that way, I got it from the README file. My understanding is that iOS needs us to “finish” notifications in different ways depending on their type. Our app is listening for notifications. We still have to fire them, though. On March 10th, 2017, Google released Firebase Cloud Functions. Supposedly a competitor to AWS Lambda, but I haven’t tried that before. The bottom line is this: You can run code without running a server. This could almost be its own article, so here’s a quick walkthrough. Full code on Github. We export a function that registers an onWrite listener on our list of messages. When messages are written, a push notification will fire. There’s no need to tell anyone what our function is. If it’s exported, Firebase will figure it out. That part confused me at first. Inside our listener, we get the last message, use it to build the notification payload, and send it to everyone subscribed to secret-chatroom. Everyone finds out when things happen and with some luck the chatroom becomes a community. Done. Your code is available right away. That … that was hard right? Am I just dumb? Sure felt like a lot of clicking, but we’ve unlocked a new skill: notifications. So many possibilities for future apps! You should subscribe by email to get a new app walkthrough every 2 weeks. I learn a lot, I’m sure you will too. Super cool tutorial. learn a lot things . Do you test on an Android device, Swizec only test on Ios? That awkward moment when you find this article and realise it’s for iOS and you need android. can you please add google-services.json for android development? Wow!! Great Tutorial.. You save my day.. Thanks man! First, thx for this tutorial ! I have an issue : ‘RNFIRMessaging.h’ file not found. I know I need to include Firebase.h, but I don’t know where or how. Hey, nice overview, but I’m confused about the token. You get the token, and then you save it to firebase … but… where do you use it? In your cloud functions do you need to target a specific token? How does that work? I just suggest replace onWrite with onCreate because you don’t want to get a notification for deleting or updating. Thanks so much for this, saved me a load of time! me too. any update about the solution? i have the same error, how did you manage to do it with cocoa pods ? i mean which instructions you discarded ? is there a good documentation for this steps ? I added firebase.h in the project but i still get an error (Firebase.h not found) I added the file like I added the frameworks. I’m getting the same. Any solutions? Thanks. I am going to give all of this a try and see how it goes. Grateful! Hi! Were you able to solve it? Thanks. I am stuck at the same place. Great great tutorial like you mentioned hell would be the word haha.. Any idea to handle custom actions in iOS like whatsapp does? For example: action 1: view, action 2: mark as read. This is a simple chat app. Users have an identity, they see a list of messages, everyone gets updates in real-time. The logic is powered by Redux and Firebase, the UI is styled by Shoutem UI. 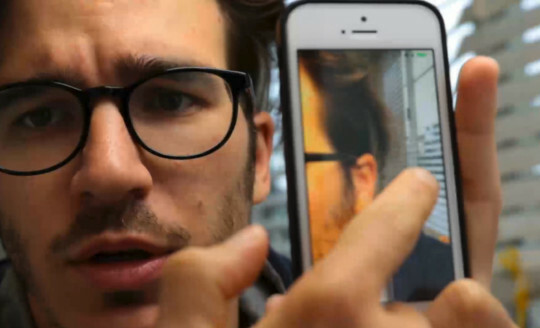 Follow this tutorial and say hi to everyone else who runs the app.